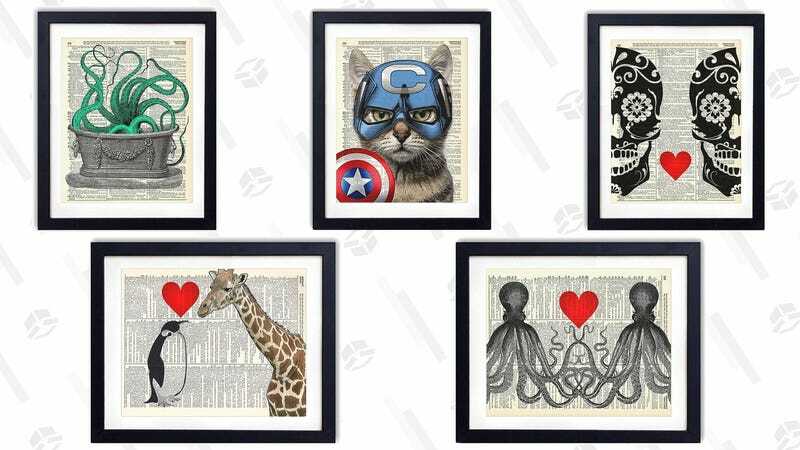 If you have some bare spaces on your walls at home, you can fill them with Vintage Book Art prints, just $10 each in today’s Gold Box. Each art print is layered atop an actual vintage dictionary page, meaning every single piece is completely unique. You don’t get to pick the words on your page, but you do get to pick the art that’s printed on top.